Perfect radio equipment organizer for emergency communications, public service or just rambling about. 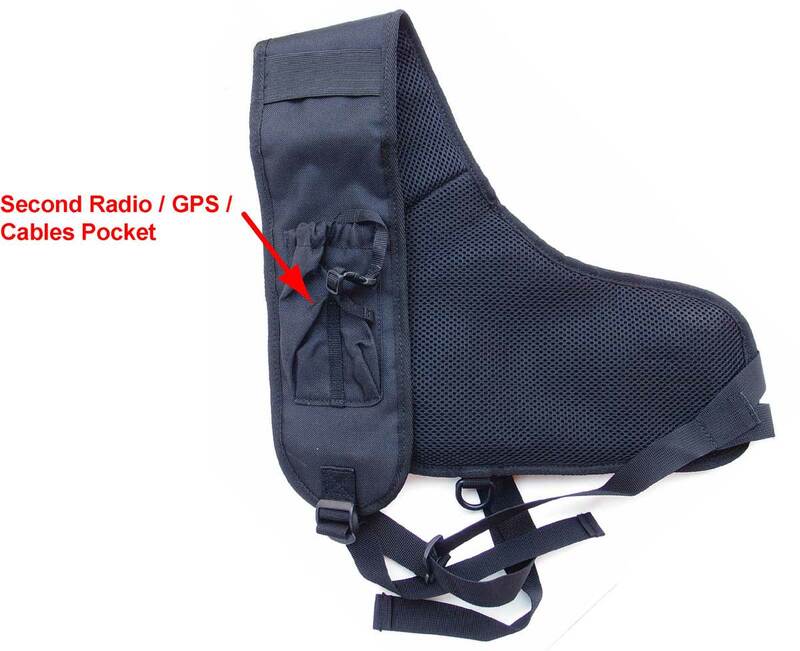 Holds up to two Radios, Antenna, Accessories, GPS, Flashlight, Pen etc. 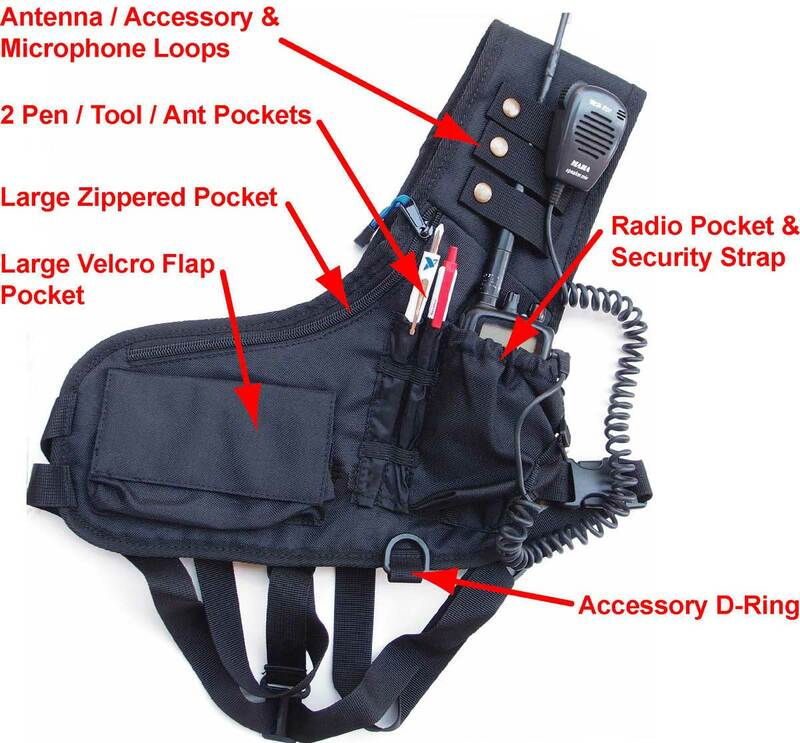 The Bandolier-style radio chest harness gives you easy access to your handheld radio, microphone and other equipment, leaving your hands free for other tasks. Antenna, glasses and other items can be secured via three webbed snaps . Plus two additional elastic band antenna /pen holder pockets are available. A Velcro flap front pocket can be used to store GPS, PDA, batteries or other devices and accessories. Plus an another large zippered pocket can store store maps, notes or other items. Rear side of the radio harness provides storage for an additional radio / GPS, spare cables or whatever. Straps and padding are designed for maximum comfort. Waist strap is adjustable to fit a maximum girth of up to 52 inches. This is the most versatile radio chest harness available!